I did some work with the Macedonian Wolves…. they had the same conclusions….stay frosty brother. the videos and pictures you guys posted have mysteriously been taken down. beebeecee does this all the time, they do in aisia, sri lanka and they really messed up the translations in a certain country recently…. Regarding the recent shootdown of a Turkish aircraft by Syria, the question I have is whether the aircraft that was shot down was, in fact, an actual piloted RF-4E (Reconnaissance model) as Turkey/NATO are claiming it was?? I'm thinking it may very well have been something else altogether – the QF-4 UNMANNED Target Drone. Please check out my new article if you want to know more about this very suspicious "incident". This is yet another bizarre and disgusting scenario put up on the stage, in the hopes of causing uproar in Turkish people, giving somewhat an excuse for the invasion that'll be initiated by the puppet government in Turkey. And as expected, mainstream media tried to exploit the "act" as much as possible, one of the pilots being an astronaut candidate, finding the boats of the pilots. The usual cheap tricks for playing into people's most intricate feelings. One doubt I have about your unmanned plane theory – that would make just perfect sense- but father of one of the 2 pilots talked to the reporters and said he was devastated about his loss but didn't want a war with Syria. It'd have fitted better had he said he wanted revenge. ahh such a pain to watch these clowns that are the Turkish government. 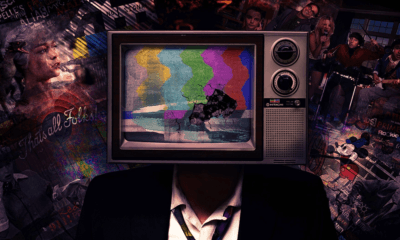 The Corporate bought Media really are the propagenda mouth piece for the Globalists.Propagandawith an agenda.They will repeat this war of aggression over and over with valor to condition and seduce us,at the point where someday soonit will be televised as reality. if you dont eat your meat, how can you have any pudding? who would you people want to run the world if not the bilderberg? maybe a homeless guy or stone occupy member? some one has to be in charge! wake up people. think for yourselves. 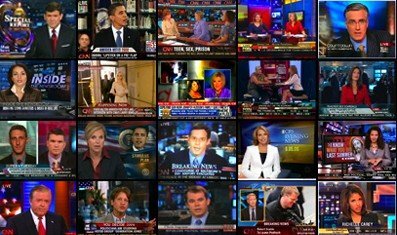 its so obvious that the elite control the media. that way, they also control the billions of people who watch t.v. by feeding us what they want us to belive. invariably, they control the world. pity though. feel scared and sad for the world and all its innocents. 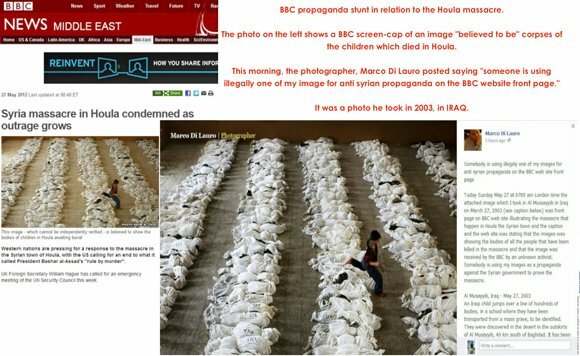 The BBC, and all Western Media, are propaganda mills for the NATO and Zionist fascists. Societal breakdown is starting to occur right before our eyes. also guys the EU's economy is in a state of serious emergency……there's alot of craziness happening right now..wow…. Russian policy on Syria is going to contribute to a civil war, the US secretary of state says, as the UN warns of a looming "catastrophic" conflict there." "UN WARNS OF A LOOMING CATASTROPHIC CONFLICT" Yeah, they are definitely gearing up for war. Thanks for reporting on this. It turns my stomach to see such blatant manipulation of the public. I often wonder how on earth governments can get so many reporters to do this kind of thing at once. The story on Syria has been obviously skewed from the first day it appeared in western media. This latest atrocity was reported very carefully in stages, to convince the average American/British reader: 1) OMG, look how evil the Syrian government is! 2) OMG, look how awesome President Obama is for condemning this act! …. and then, finally, 3) Look how evil Russia is for supporting evil Assad! It feels like the Cold War didn't ever stop. If I lived in Syria, I would be terrified. The US and Russia are both campaigning heavily to control the region for their own benefit. And what can the average person do to combat this? Very little, I think. Assad will almost certainly be removed from power and the vacuum created will be filled by someone friendly to US interests (which will happen "democratically", no doubt). And on the off-chance that Russia ultimately wins this power play instead of America, the outcome will hardly be any better. @julianol i think that Islamic groups or brotherhood are the Arabian version of zionism thats a fact they r both in the same place where do u think the word 'brotherhood' came from ? Isalmists now have reached highly important places in authority in egypt libya yemen and tunisia they wanna take over syria to spread this ideology which we as syrian ppl completly condemn and refuse it. I think the west owns Al Qaeda and 9/11 was an iniside job to distort the image of islam and to declare war against iraq and afganistan and the moment obama decalred the death of bin laden by us forces while we all know he had something wrong with his kidney or watever it was the beginning of new era of political islam as they say … an all that only to protect israel and the zionists interests in the middle east from any unexpected attack .. thats why u see on ur tv demonising arabian armies and forces .